Happy Holidays from Detail & Design! 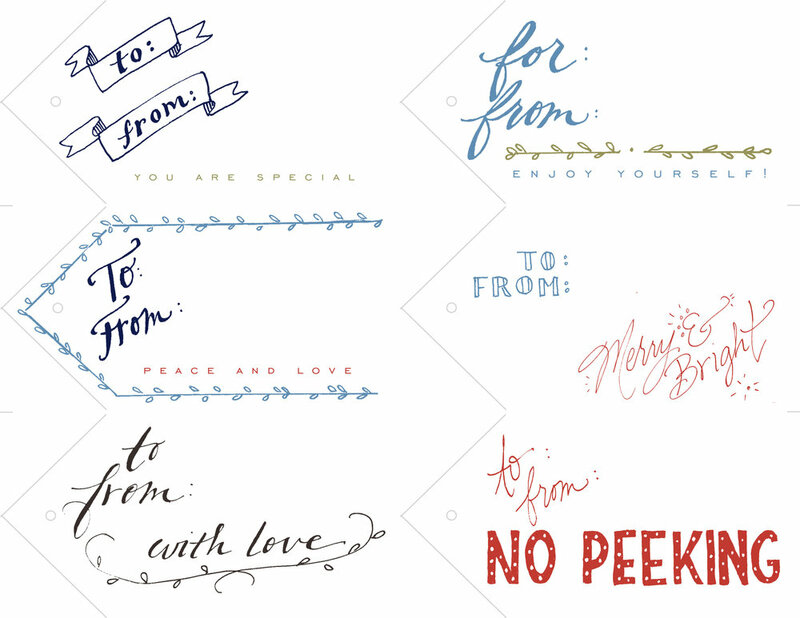 Our hand-letterer Mary Johnson Rockers and print designer Katareya Godehn joined forces to create a fun, festive (and free!) printable for our readers. Please share and enjoy in the spirit of giving. Instructions: Print on card stock or any paper you have on hand. Cut along the lines and use a hole punch where indicated. String some pretty ribbon through the hole. Attach to gifts for friends and family. Enjoy!